Rwanda has its very own take on doing the doable, and we love it. We’re here in Nyabiheke Refugee Camp in Rwanda, doing the doable for a few days with a group of visitors joining us from across the U.S. (if you’d like to learn more about our Changemakers 365 trip or any of our other immersion travel, contact Alissa at AlissaJ@ARCrelief.org or (612) 607-6486). First of all, Rwanda has its very own take on doing the doable, and we love it! It’s called Umuganda. 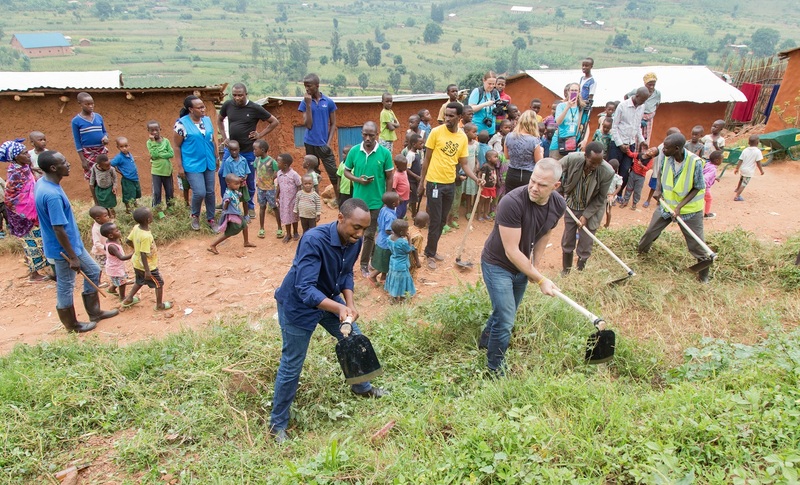 Umuganda happens on a single morning each month, when each and every neighborhood in the country gets together to volunteer and take on community improvement projects. When the work is finished, a meeting immediately follows to discuss news, challenges, and build a sense of community. Umuganda includes Rwanda’s refugee camp communities, too. Our group happened to be in Nyabiheke on Umuganda, so we asked if we could join in. We grabbed hoes, machetes, and slashers and got to work alongside the community slashing long grasses, leveling the ground and cutting back underbrush and vegetation on the slopes of Nyabiheke. After an hour or so the neighborhood was looking good. But we had a little surprise. 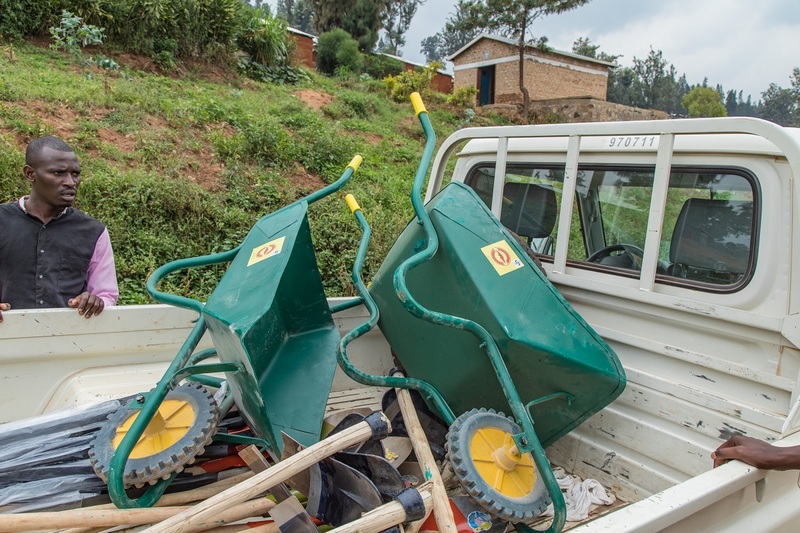 Once everyone had settled in for the community meeting, we handed over a cache of wheelbarrows, rakes, hoes, slashers and machetes – tools that now belong to the community and can be used for future Umuganda beautification projects in Nyabiheke. We love Umuganda, and we’d love to do the same kind of neighborhood-led doing the doable anywhere in the world. If you have an idea for how to get your neighbors involved, let us know: CM365@arcrelief.org .